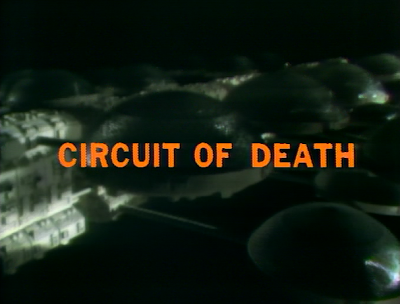 This week’s episode of The Starlost (1973 – 1974), “Circuit of Death,” is actually one of the series’ more entertaining installments. That doesn’t mean that the narratives makes a whole lot of sense, or tells a very good story. Only that it is, well, at least entertaining. 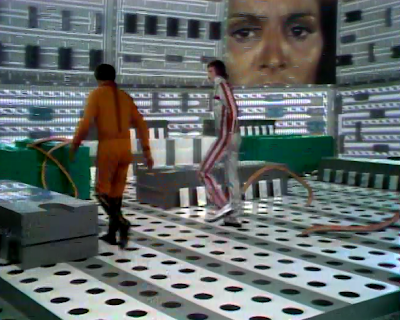 Here, an engineer named Sakharov Richards (Percy Rodrigues) decides to protest the political process of his biosphere…by destroying the entire Ark. 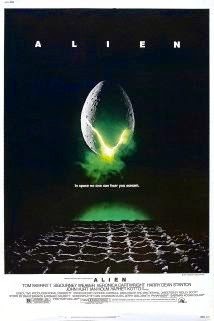 His daughter, Valerie (Nerene Virgin) attempts to convince him of the error of his ways, but Sakharov activates the self-destruct mechanism, and hopes to escape the ark with his off-spring. 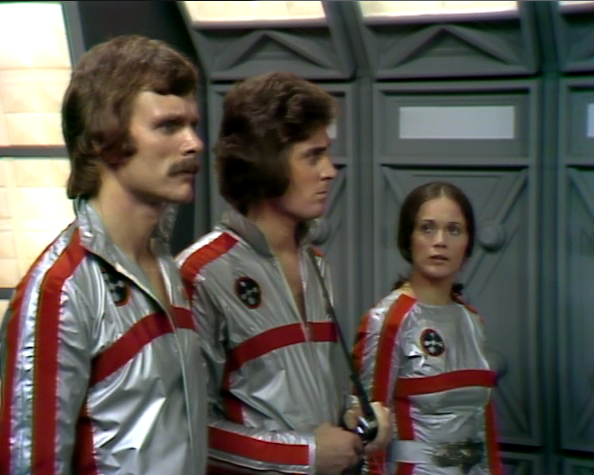 When the escape pod won’t eject, however, Richards thinks better of his plan, and joins up with Devon (Keir Dullea), Garth (Robin Ward) and Rachel (Gay Rowan) to de-activate the self-destruct mechanism. This is easier said than done, however, since a main circuit in the computer has blown. And it’s here that the story gets really crazy, and fun. To repair the blown circuit, Devon and Richard submit themselves to a process whereby their conscious minds are placed into miniaturized avatars that can go inside the computer system -- walk around -- and fix the circuit manually. Thus, there are numerous scenes in “Circuit of Death” featuring these mini-avatars on a vast, sci-fi circuit board, connecting huge hoses that are supposed to be tiny copper wires. And even better, there’s a window out to the real world, so we can see the concerned expressions of Valerie and Rachel as they watch the tiny people conduct the difficult, life-or-death work. And yet, the idea is also inventive and fun. The Starlost accomplishes almost all of its visual effects the same way that Land of the Lost does, via blunt chroma-key compositing. But the nature of this tool means that the characters can be moved to any landscape imagined by clever writers. 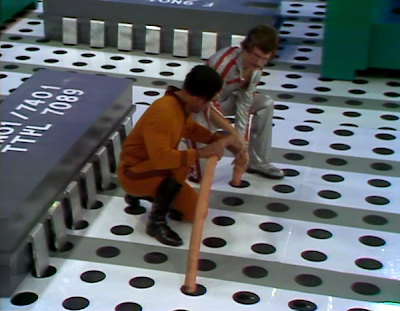 What’s odd about the miniaturization scenes in “Circuit of Death,” however, is that they appear to occur on a real, constructed set, not via the expected chroma-key composites. Weird. In terms of narrative, The Starlost again raises a number of questions. First, how come a genius engineer like Sakharov Richards can’t adjust the course of the Ark to avoid the collision with the “solar star?” Can it really be that hard to make a simple course adjustment? Apparently the answer is yes, because upcoming episodes such as “Astro Medics” also feature highly-intelligent, trained professionals who can be of absolutely no help in this regard. They can fly “ambulance”-style space ships to meet and rescue injured aliens, but can’t do anything to help the Ark. Also, why the hell are Devon, Garth and Rachel suddenly wearing silver uniforms (ostensibly space suits?) In the next episode, they are back to wearing their Cypress Corners gear. What's with the shift? On a character note, “Circuit of Death” also has some explaining to do. Richards is upset with his dome’s populace, so he wants to kill everybody on the Ark, in all the domes. That is an incredibly irrational act, and Richard’s redemption comes, suspiciously, only after he realizes he and his daughter can’t escape the explosion. Now all of the sudden -- when he’s going to die -- he has a change of heart. This fact doesn’t make Richards a particularly endearing character or render his sacrifice at episode’s end that meaningful. Despite these abundant flaws in plotting, character and believability, it must be established that “Circuit of Death” moves at a faster clip than many The Starlost episodes, and is at least borderline interesting by comparison. Upcoming episodes like “Gallery of Fear” don’t succeed even on that level. John good points on “Circuit of Death”. 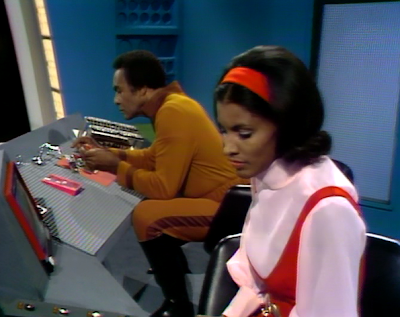 STARLOST could have been a science-fiction series on the level with '70s Space:1999 or Star Trek reruns if and only if they had a better writer-producer in control.